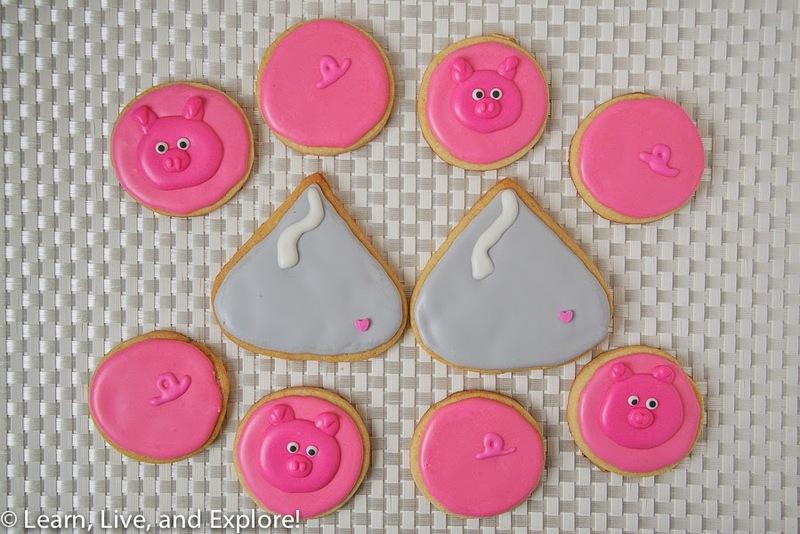 Valentines Hogs and Kisses Cookies ~ Learn, Live, and Explore! Next: the recipes. 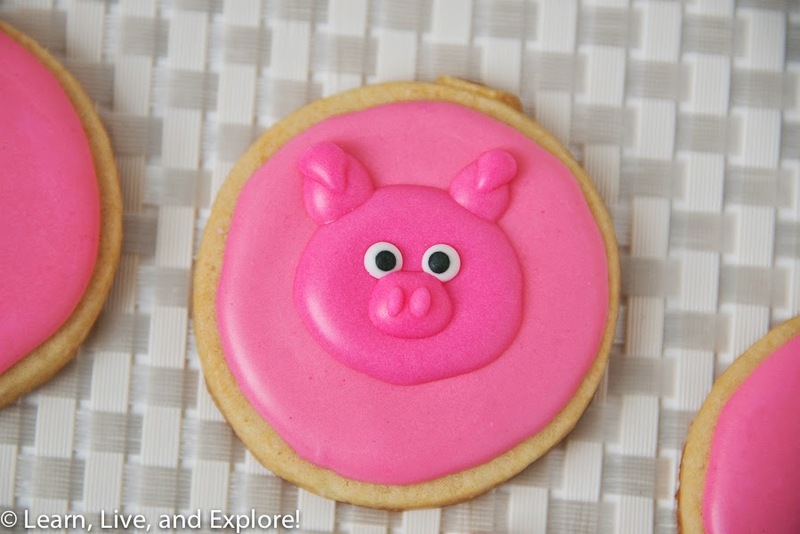 I posted the butter cookie recipe and royal icing recipe I use on one of my first cookie decorating posts. Get them both here. 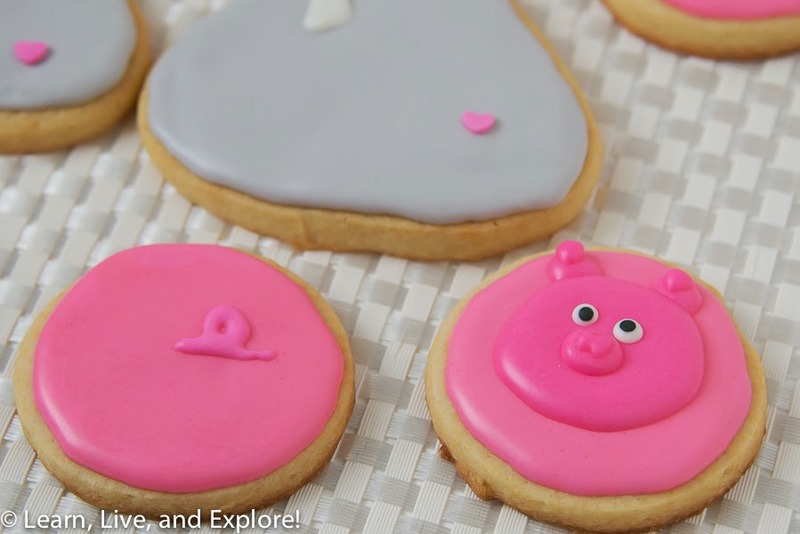 For amazing instructional videos, I always refer people to Sweet Sugarbelle's website -- navigate around her tutorials and tips, especially for icing consistencies. Make sure that the cookie dough is chilled properly, per the recipe. Second, if you have the time, after cutting the shapes you may want to consider putting them in an air tight container with parchment paper to separate the layers, then placing them in the fridge to re-cool. Cooler dough retains the shape better. 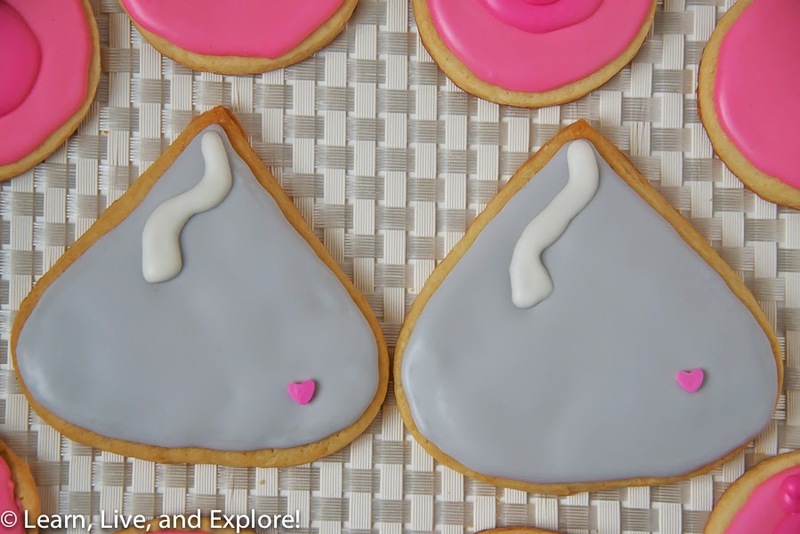 Both cookies were flooded with pink (I used a little too much, hence the hot pink and not soft pink) and grey frosting (a very small amount of Super Black gel) using the standard squeeze bottle. Both base colors dried overnight. The kisses ribbon, pig heads/pig ear bases, and pig tails were piped on with a #2 tip on a squeeze bottle. When still wet, maybe 30 seconds after you finish piping the head, carefully drop the eyeballs on the face. Use a toothpick to carefully remove an eye that is misplaced or needs a slight adjustment. Wet icing is your friend! Allow the pig head to dry an hour or so, then pipe on the nose with the #2 tip. Detail work on the nostril and floppy pig ear was done with the #1 tip.